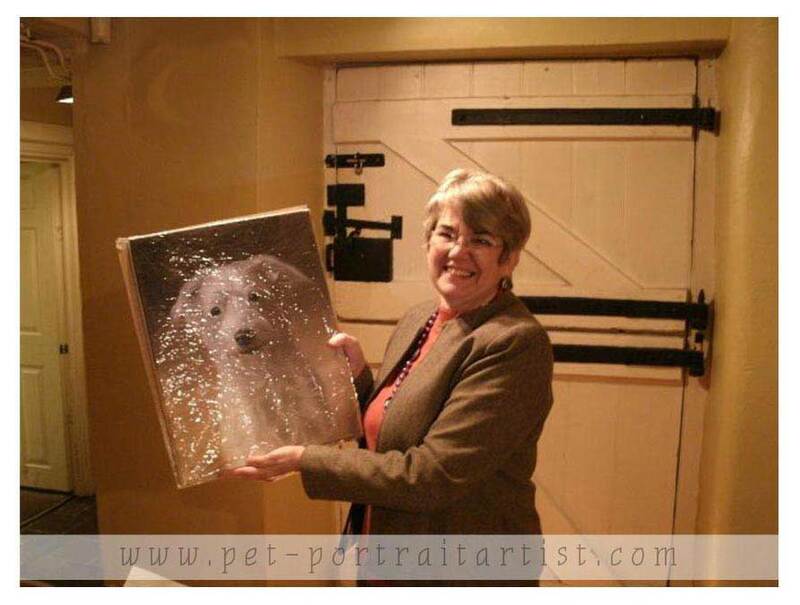 This is a portrait completed for Sarah Brown to give to her mum on her 60th birthday. 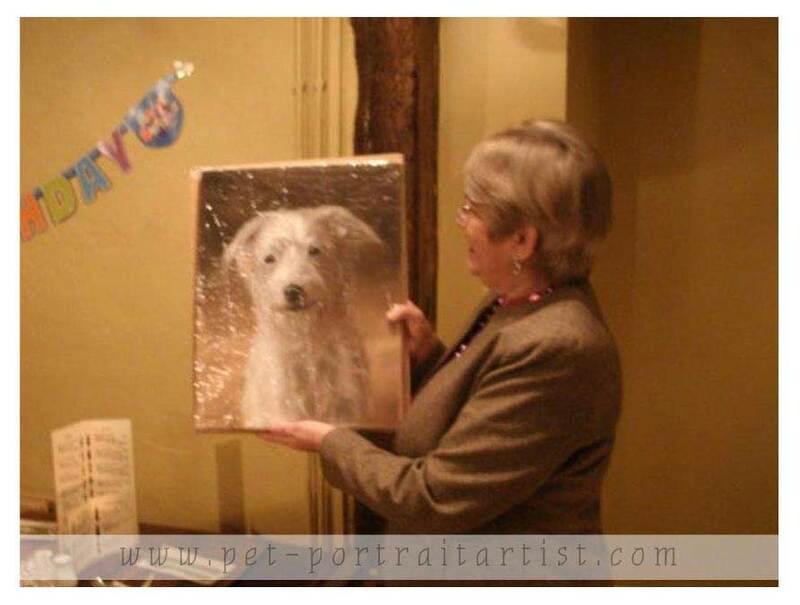 The photos below show Sarah's mum having just received the portrait and below you can read some testimonials from both Sarah and her mum. I just wanted to say a big THANK YOU sooooo much for all that you have done!! 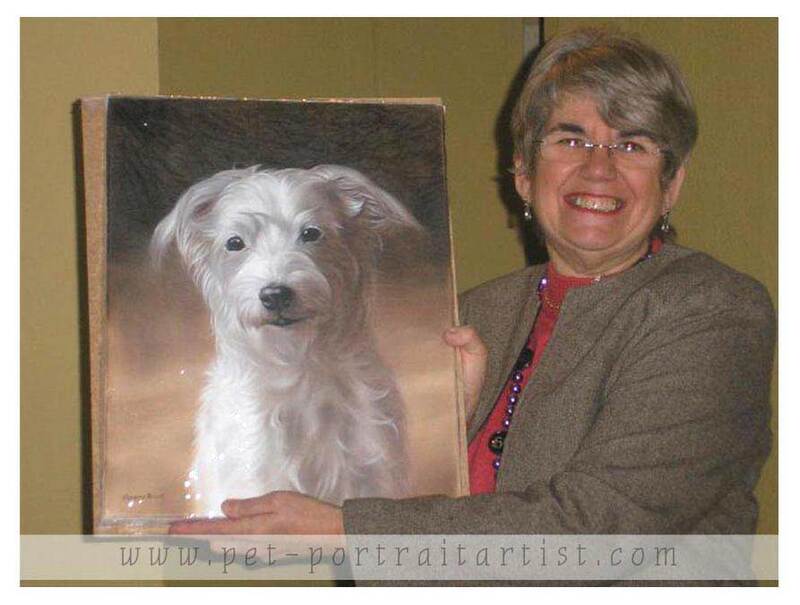 You have made my mum so happy with the portrait and she was really surprised!! She left a message on your website at about 1am on the Saturday - was a pretty late night with all the celebrating! We all (including everyone at work and all I've emailed!) love the portrait and think it is a brilliant and special talent you have. We arranged for the frame to be done on Monday and as soon as it is complete we will send you a picture - we hope to download the photos we took of the present giving soon, and will email them to you as well. Thanks again and will be in touch very soon! Thank you so much for my beautiful 60th birthday present. The painting of my best friend Charlie is the best present I have ever had and will treasure forever. He gives so much love to so many people as a Pets As Therapy dog (PAT dog) and you have captured the kindness in his eyes perfectly.